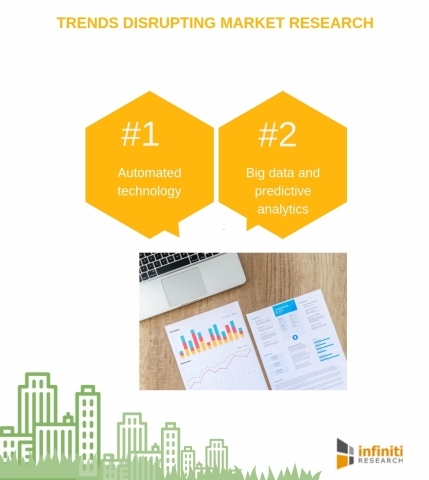 A well-known market intelligence company, Infiniti Research, has announced the completion of their latest downloadable resource on global trends disrupting the future of market research. There has been an unprecedented amount of global market changes over the past several years. The market research industry is at a stage of evolution due to the disruptions taking place in both execution and delivery stages. Market research is an integral part of the business planning process as it provides relevant data to help solve marketing challenges that a business is most likely to face. To be successful despite the constant changes in the market, researchers need to understand the global trends impacting the market research industry and meet the evolving and tensioned needs of tomorrow's client. Today, market researchers are expected to deliver accurate, insightful solutions to clients with shorter turnaround times and smaller budgets. To be successful, they must embrace new technologies available for streamlining and automating data collection and analysis, consequently dedicating more time to higher-level problem solving and storytelling. Identifying market opportunities is easier with the right partner to provide you with intelligent business solutions. Get in touch with our experts and learn how Infiniti’s solutions can help your business. Clients expect research reports to be at their disposal at the earliest possible time. The rapid investment in automated technology will create some of the largest changes for the market research industry. Developments in areas such as machine learning, and artificial intelligence enable faster report creation and text analytics. Thereby, researchers can invest their efforts into story-telling and problem solving rather than spending more time on manual research. Download the free resource to read more. Technological advancements including big data and machine learning are nothing less than a boon for market researchers. They have the ability to conduct predictive analytics and develop models that learn from the data, identify patterns and make decisions with minimal human intervention. Over the next decade, big data and predictive analytics are expected to revamp the entire market research process by collecting and filtering data in real-time. This would consequently give researchers more time to determine why and how this information can be used.